I work in Higher Education and was asked to complete Prevent training which has the stated aim of providing educators with basic awareness about how to spot and report the signs of radicalisation in their students. I already knew that Prevent existed and had heard it had been strongly criticised as stigmatising, so I decided to do the training to see for myself. It was worse than I imagined, consisting of a series of negative stereotypes, mainly of Muslims, but also poor white people. I wrote this piece as a response; I perform it live, so hopefully I can help spread the message that such government-sponsored stigmatisation is unacceptable and ineffective. 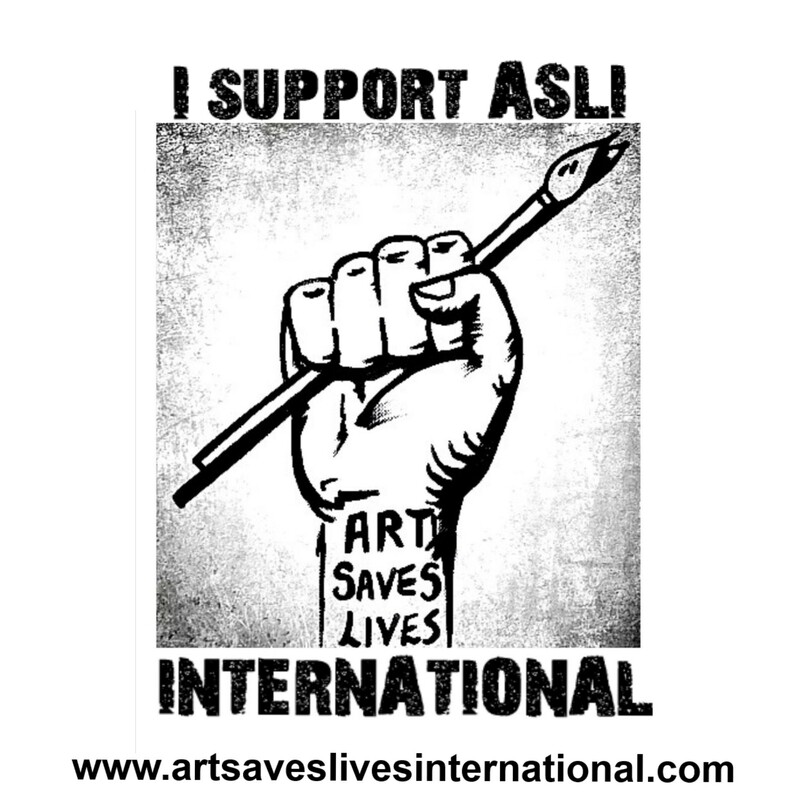 Since my previous appearance in ASLI, I have developed my writing and visual art to a point where I have gone professional. My goals are therefore to develop my art further, including paid opportunities – commissions, sales, exhibitions, workshops, performances and so on. Childhood bullying based on being intelligent (‘a swot’) but physically small at the time. To be honest, as the situation was mirrored at home, I didn’t deal with it except by becoming extremely upset and clinically depressed, although this wasn’t diagnosed at the time, being the 1980s, and eventually I became suicidal. I am physically confident, so am willing and able to intervene when witnessing discrimination. Since the Brexit vote I have seen a sad increase in bigotry of various forms, and have had to intervene in incidents of racial and transphobic abuse. This can be by simply talking to the victim to distract the abusers and make it clear there is a witness willing to get involved, though on one occasion a more direct approach was required to prevent a physical attack. On a less direct level, I promote safe spaces, including the Art House where I volunteer, and am involved in local groups that take an active stance against bigotry. It really depends on intent. Sometimes we need a sort of ‘social shorthand’ to describe people, but only if we recognise that such labels are limited and might be incorrect. In this sense, it’s very much like ‘first impressions’ – we probably can’t help forming them, so we need to make sure we are self-aware enough to accept they may be wrong. It’s another label, and in this case primarily an accident of birth. Identity is important and can bring cohesion, but we need to ensure it doesn’t turn into rampant nationalism and vilification of others. After all, we shouldn’t be judging people on the basis of geographical randomness or where imaginary lines were drawn on maps during colonial times. It’s more important to recognise that nationality is largely a construct, but we are all human. White, able-bodied, male, heterosexual, well educated & qualified. Definitely not rich or thin! Not beyond name-calling as a child, and certainly not systematically – I was on the receiving end enough to know it was wrong. I was brought up in a household where POC were called ‘Pakis’ and ‘nig-nogs’ etc – casual racism essentially – but fortunately it didn’t stick. This is clearly abhorrent, but sadly very common. The Prevent ‘Initiative’ I’ve written about here is a prime example – stigmatising Muslims and the poor to placate the tabloids, including Rupert Murdoch’s agenda, and trying to ensure the UK populace remain fearful and divided. This is done to smooth the way for further austerity and privatisation of services, while also eroding civil liberties and individual rights in favour of supposed ‘security’ against threats that, while they clearly exist to some extent, are massively over-stated. Activities with the Palestine Solidarity Campaign and similar – this is such a clear case of injustice and stigmatisation, with the ultimate aim of de facto genocide, that I feel morally obliged to act. It’s impossible to do everything, but this issue stands out. Powerful words and images can cut through the rhetoric and misinformation surrounding issues and highlight what’s actually happening. They also provide a way for people to express themselves without being drawn into meaningless debates and therefore have the potential to be effective campaigning tools.